Over 350 students gathered at Barlow Park recently, to compete in the District trials for Athletics. 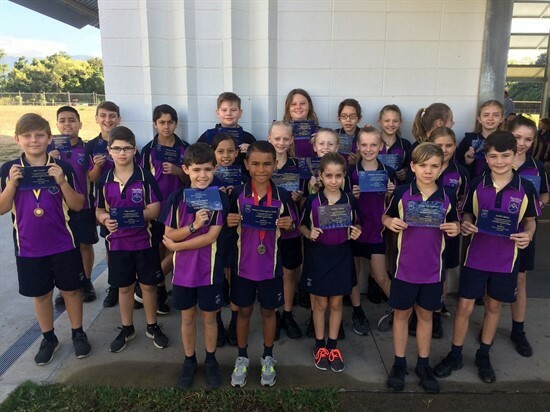 This district event enables students the opportunity to compete against our Cairns Independent schools, to then progress further to the Peninsula Trials. Our MacKillop Athletes, did an awesome job representing MacKillop in their events. It was wonderful to see the sportsmanship within our MacKillop Team, but also amongst other schools. A special shout out to Lebron and Maya who represented the Cairns Independent District Team at the Peninsula Trials on Sunday 12th August 2018 and Monday 13th August 2018. And an amazing effort by Lebron who came second in the final of the 100m and is now representing the Peninsula District at the State Championships! Go Lebron!